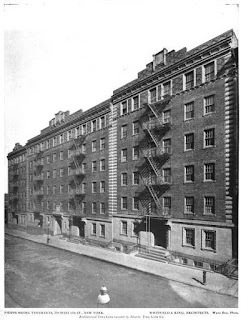 The second tenement complex known as the Phipps Houses designed by Whitfield & King c. 1906 at 233-247 West 63rd Street. Click HERE to see the first Phipps Houses complex. Click HERE to see these buildings as they look today on google street view. Photo from Architecture, 1908.